Rolling Road Widening Public Hearing, February 27. VDOT will hold a public hearing in late February on its plans to reduce congestion and improve safety by widening Rolling Road (Route 638) from two to four lanes between Viola Street and Old Keene Mill Road. 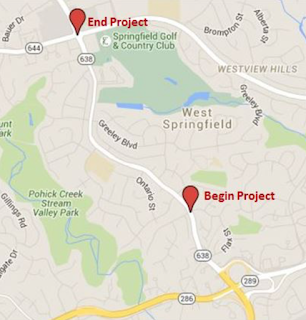 This project includes a shared-use path to increase safety for bicyclists, pedestrians and other non-motorized users. The hearing will be on Tuesday, February 27, 2018, from 6:30 p.m. to 8:30 p.m. at the Irving Middle School, 8100 Old Keene Mill Road, in Springfield. As usual with these meetings, project staff will be available to answer questions and there will be displays for viewing between 6:30 p.m. and 7:00 p.m. when the presentation starts. 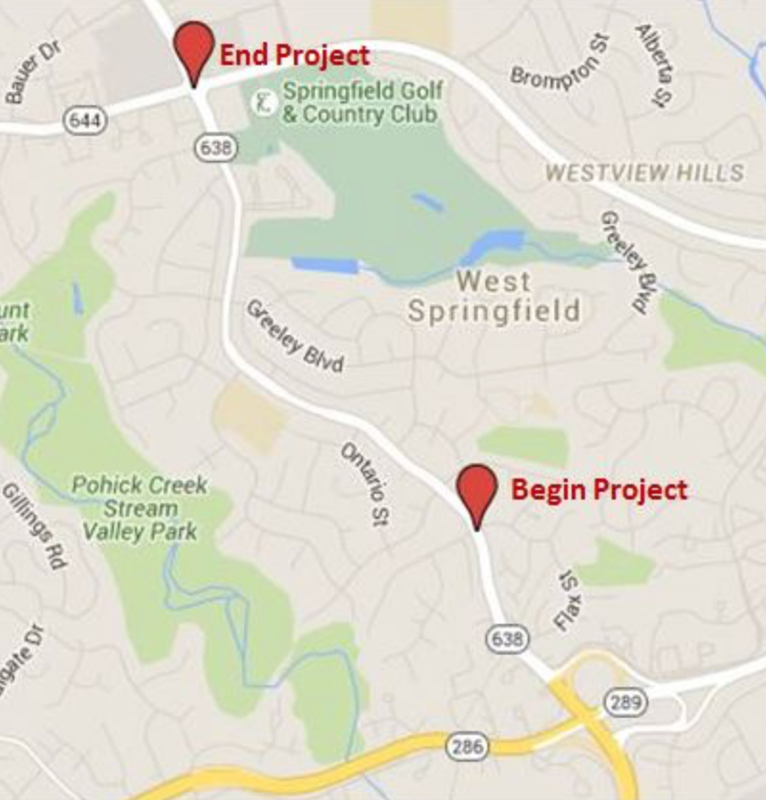 You can also review project information at the VDOT project website and send written comments to Hamid Misaghian, P.E., Virginia Department of Transportation, 4975 Alliance Drive, Fairfax, VA 22030, or email: meetingcomments@VDOT.virginia.gov. Please reference “Rolling Road Widening” in the subject line. The deadline for submissions is March 9, 2018.